The Bush family is one of the most renowned political dynasties in America. It has produced presidents, governors, vice-presidents, and senators. One of its high profile products is Jeb Bush. Jeb is an American politician, specifically a Republican. He served as the governor of the state of Florida from 1999 to 2007. He also contested the Republican Party presidential primaries in 2016 but unfortunately did not make it far. Apart from public service, Bush is an accomplished businessman and has worked with several renowned companies. Find answers to most of the questions you have been asking about the erudite politician here. Jeb Bush was born on the 11th of February 1953 in the town of Midland, Texas. He, however, grew up in Houston after his family relocated there. His first name is a combination of the initials of his full name – John Ellis Bush. Bush had his earliest education at Grady Elementary School Houston and later, Phillips Academy, Andover, Massachusetts. For his college education, he attended the University of Texas at Austin. He did Latin American Studies and graduated in 1974. Upon leaving college, Bush spent several years in the private sector, working for a bank as well as a real estate company. He also embarked on several other business ventures which made him a millionaire. It must be stressed that in the midst of these pursuits, he relocated to Florida and made it home. Jeb Bush commenced his political career as a volunteer on his father’s campaign in the 80s. From there, he quickly worked his way up in the Republican Party. He was appointed Florida’s secretary of commerce between 1987 and 1988. Bush ran for governor for the first time in 1994. He, however, lost to the incumbent, Democrat’s Lawton Chiles. He tried again in 1998 and emerged victoriously. He also won a re-election bid in 2002, becoming the first Republican to achieve such a feat in Florida. Since his days as a governor, Bush has remained active in the public and private sector. He also contested for the Republican Party presidential ticket in 2016 but pulled out due to low support. Bush has a net worth of above $22 million. He did not make his money from serving the public. Rather, he made his fortune from his entrepreneurial pursuits. He earned a handsome sum as the director of a health company, Tenet. He also made money from consulting for several companies such as Lehman Brothers and Innovida. Another source of his wealth is speaking engagements. He has been paid at least $10 million to speak at various public events in America and beyond. Bush is married to Columba Bush nee Garnica Gallo; she is Mexican-American. They first met in 1970 when Bush went to the Mexican city of Leon to teach English. At the time they met, Bush was 17 and Columba was 16. She did not speak a word of English but this was not a barrier as Bush was fluent in Spanish. They returned to the States and tied the knot at the campus chapel on the 23rd of February 1974. The ceremony was conducted in English and Spanish. The couple has three children together. They are George, Noelle, and John Ellis Jr. His eldest son, George, has followed his dad’s footsteps into politics. He is an attorney and Navy reserve officer as well as a land commissioner in Texas. The other two children work in the private sector. 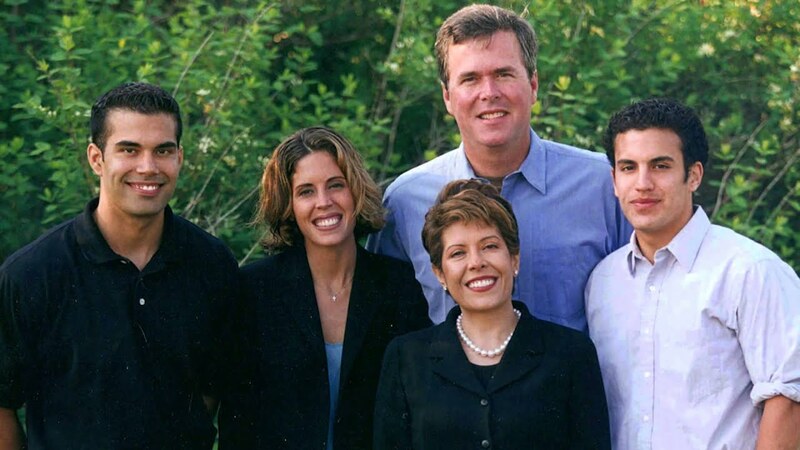 Jeb Bush also has four grandchildren, two from each son. Jeb Bush hails from one of the greatest political dynasties in America. His father’s name is George H.W. Bush while his mother’s name is Barbara. His father held many political offices including President of the United States, Vice-President, and CIA director. 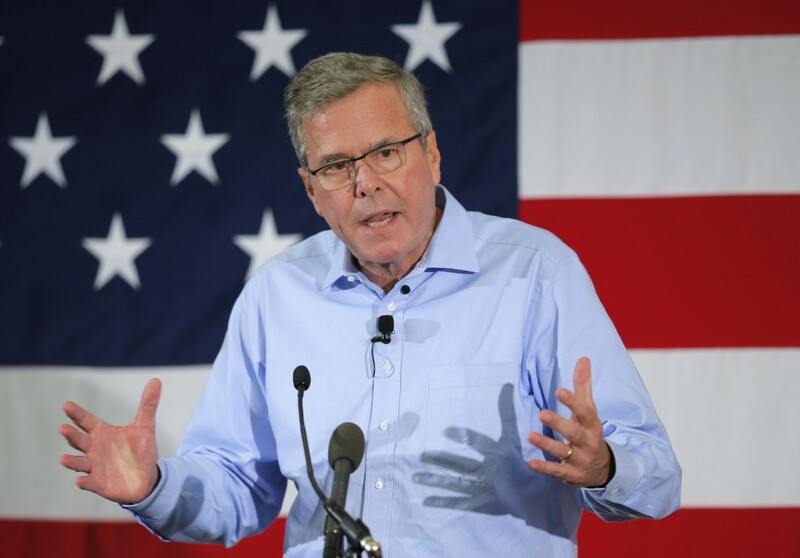 Jeb Bush has four siblings comprising of three brothers and one sister. They are Neil, Marvin, George, and Dorothy. All his siblings ventured into the private sector save for George who served as the Governor of Texas and later, the 43rd President of the United States of America. Even though politics is not a beauty contest, any expert out there knows that it does not hurt to have good looks. The ex-Governor is 6 feet 3 inches tall. He is a foot taller than his wife who stands at a little above 5 feet. His weight is not known to the public but one can easily tell that he was overweight for quite some time. He, however, turned this around and lost almost 40 lb in 2015. He relied on the paleo diet to achieve this. The paleo diet is high in fruits, lean meat, and vegetables. Sugary foods, processed foods, and dairy products, on the other hand, are a no-no.